Personal video tributes in memory of Shihan Cummins 8th Dan R.I.P. 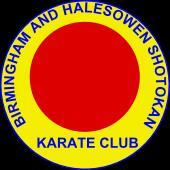 Home » Latest from BHSKC » Personal video tributes in memory of Shihan Cummins 8th Dan R.I.P. This is a personal tribute from a BHSKC team member that has been created to remember Shihan Cyril Cummins’ long and successful career in Shotokan Karate. His personal ethos was very simple: Never give up, never give in. His memory will live on with the many karateka around the world who will train as he expected them to. Thank you, Shihan Cummins. Osu. Here is a short video courtesy of Eric Mather in memory of a truly great karate practitioner, instructor and mentor. Sayonara Sensei.